The directory sites below showcase only the most reliable and professional companies on the Central Coast. Many of the companies listed are family owned and operated. Visit the site that makes the most sense for your needs to be connected with a business that can help your need. For almost 100 years, local yellow pages have been a mainstay of advertising for small businesses. With the rise of online search engines like Google, business owners should be asking themselves if traditional print phone book advertising is still valuable. This directory covers many different businesses on the Central Coast. Learn more about your community businesses while searching for the business service you need. 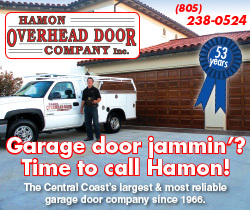 A publication covering a great many different things across the Central Coast. A large directory helps locals find the businesses they need. Go for a ride! Once a year the riders come to town to celebrate their love of riding bicycles. This site also contains a valuable local directory. Paso Robles has many great destinations to visit. However, Paso Robles also offers a great variety of business needs. Search through this directory to find businesses located in Paso Robles. How do you rank in Google search results? Access Publishing offers a powerful online marketing program to help customers find you on the Internet. Your go to news source in Atascadero, CA. This news source is ahead of the local curve in news. When you want local news today and not tomorrow visit the site. You can get a daily news email for FREE! Sign up is on the right side of homepage under “Subscribe with Us”. The Heritage Ranch Directory is the exclusive business guide for residents living at this private, gated community at Lake Nacimiento, CA. A leading online source as well as a leading producer of a magazine for visitors to the county. Great Publication to have your business represented in. This visitors guide comes out in paper form four times per year. Sign up for one quarter or all four! Many great local businesses offer professional services of all kinds. 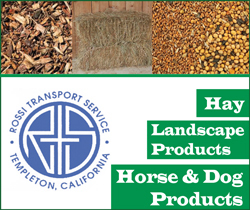 This local San Luis Obispo directory source will highlight great and active local businesses. Companies listed on this directory support the local community by delivering high standards of service, attention to customer details, an honest approach to business services, and remain active in making San Luis Obispo a better community, home, and hub to tourists. Be it a plumber, oil changer, financial advisor, tax preparer, winery, wine tour operator, limo service, these companies all deliver the highest level of service. While it may seem like picking the best insurance company in San Luis Obispo is a daunting task, this directory website has all the essential information on multiple insurance companies to make the decision easier. The directory has a plethora of information: directions, contact information, a link right to the company’s website, and even a logo or picture. If you are looking for the best doctors in San Luis Obispo County or the best dentists in San Luis Obispo County, this is the website for you. This is your one-stop-shop for finding professionals to help with a wide variety of ailments you might be experiencing all across your body. Our directory is full of contact information and other details for the best medical and dental professionals in the San Luis Obispo County, without the need for an extremely exhaustive search or research period. Need advertising? Well, all of your traditional paper advertising and all of your digital advertising needs are all in one place. Visit this site to get in contact with the people who can help your business advertising succeed. Finding a business that offers quality, affordable services for day-to-day personal and professional needs just became that much easier due to this directory website. Businesses found in the directory range from computer suppliers, legal assistance, catering, and much more. Some businesses also offer specialists in certain areas of the field, such as lawyers with bankruptcy expertise and tax businesses with 1040 return skillfulness. Whatever the need is, there is sure to be a business that can supply it in this directory. Whether looking for a new coat of paint for the house, new paths in the gardens, a bathroom remodel, or help planning a garden party or wedding, the Home Services San Luis Obispo website is the best place to find these services. This website, Fire Damage San Luis Obispo, is a resource to help residents in communities throughout San Luis Obispo County know who to call to help with fire damage cleanup and restoration. A local San Luis Obispo County company with 10 years of WordPress and website experience is here to help you restore your website, remove phishing, Trojan horse, ransom ware, and most of the many kinds of invasions, and put you on a path to a more secure website. WordPress is one of the most popular website design and web page content tools in today’s business world. Owners and managers of all sizes and types of businesses are turning to WordPress as a website resource, Hundreds of companies using WordPress websites in San Luis Obispo rely on Access Publishing for creating and managing WordPress websites. Local company that has worked with well over 100 local companies to help organize their online presence and get found on Google! Your products and services are what make your business unique, and what makes people want the special services, products, and support that you have to offer. Strategic product advertising is the best way to reach the local and visiting shoppers who are looking for your products and services. Whether you need a San Luis Obispo emergency service for plumbing, a lawyer, a dentist, air conditioning or heating, or an emergency rental tent, this directory can help. A plan is needed to take a companies online presence to the next level. With over 200 local clients, we understand how to get you there. Every season is wedding season in San Luis Obispo County. Wonderful weather, spectacular scenery and and a huge selection of venues from Old World themed wineries to breathtaking coastal locations all come together for every couple’s perfect day. Find the services you want. 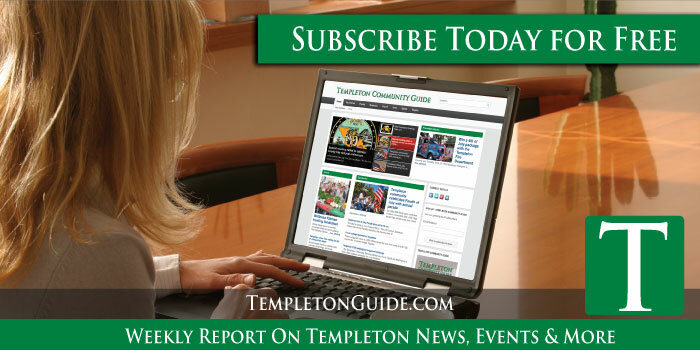 This platform focuses on Templeton, CA. Templeton is a great town for a tourist to visit. Small, quaint, with an old western town feel.